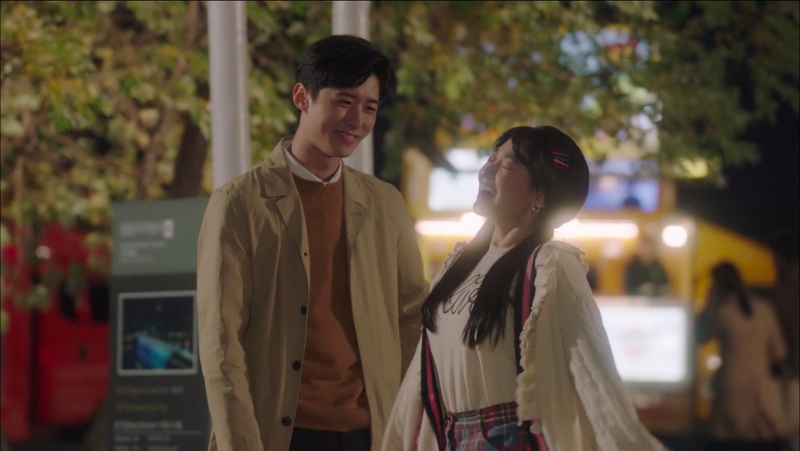 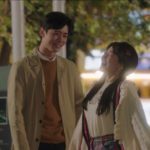 Eom Gyeong-sul (Yoo Jung-woo) and Jeom Soon (Kang Mi-na of Gugudan) have a date overlooking Some Chavit in episode 11 of Mama Fairy and the Woodcutter/Gyeryong Fairy Tale/Tale of Fairy (계룡선녀전) (tvN, 2018), near the southern end of Banpo Bridge. 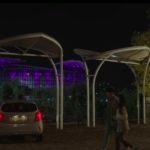 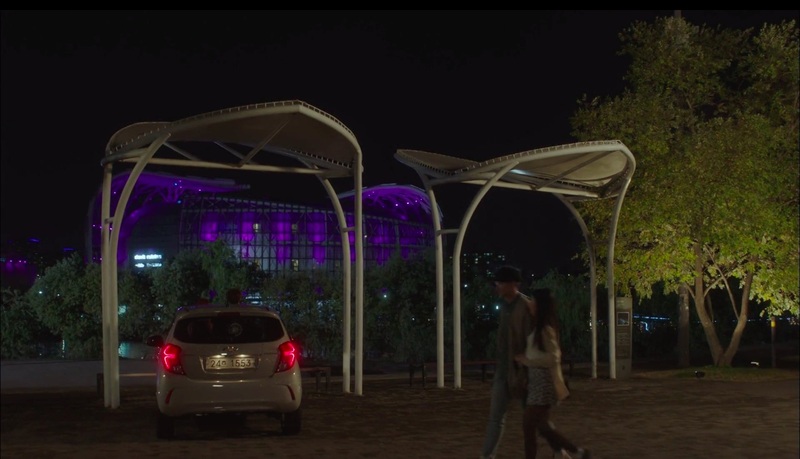 When she shies away after he makes the first move to kiss her, she moves in for a kiss — which was unknowingly being filmed on his dashboard camera. 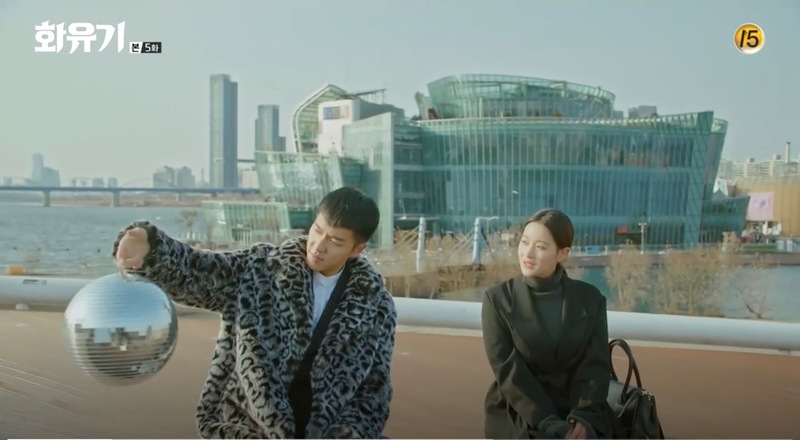 In final episode 16, Kim Geum (Seo Ji-hoon) comes here to meet Jeom Soon, who had finally maintained her human form after abstaining from meat. 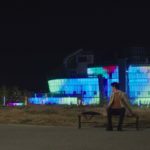 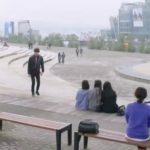 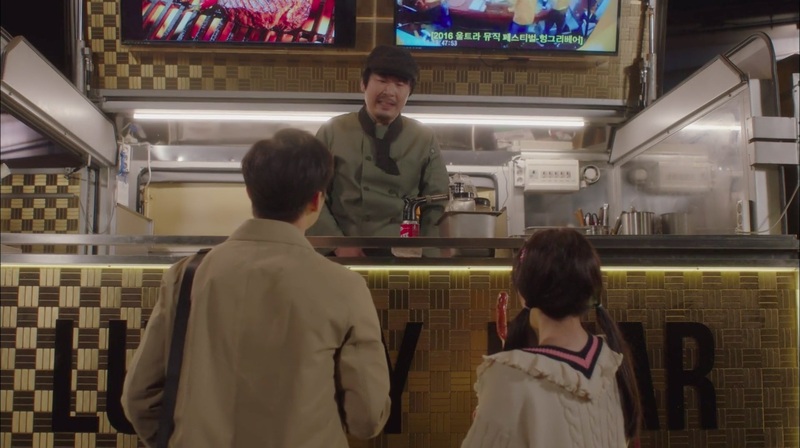 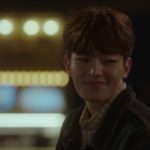 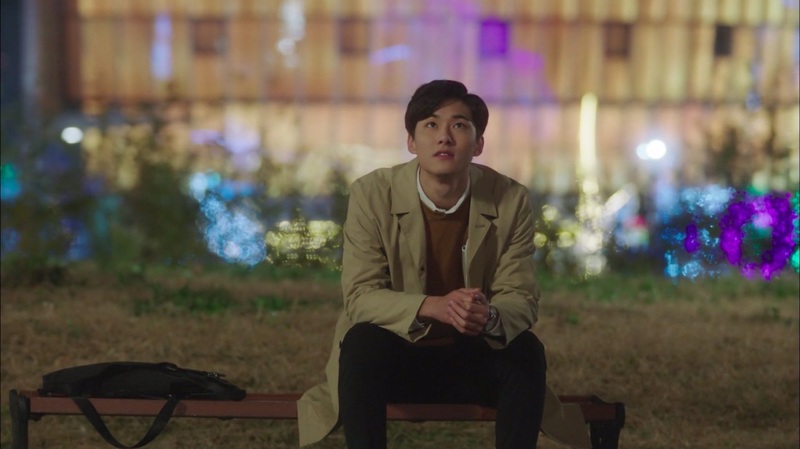 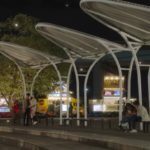 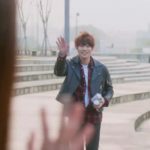 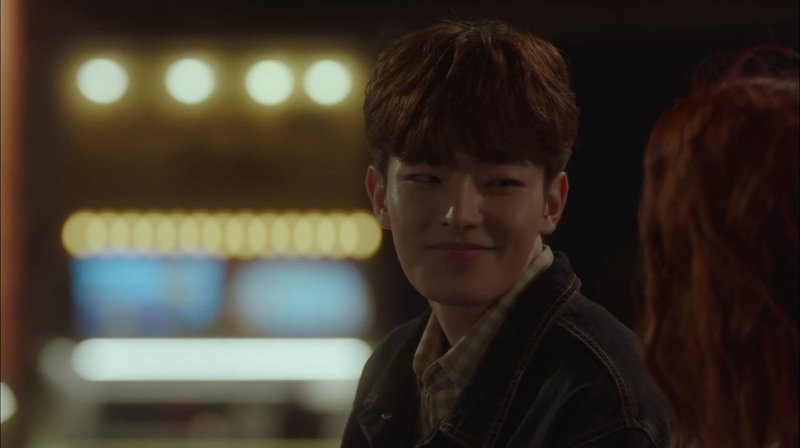 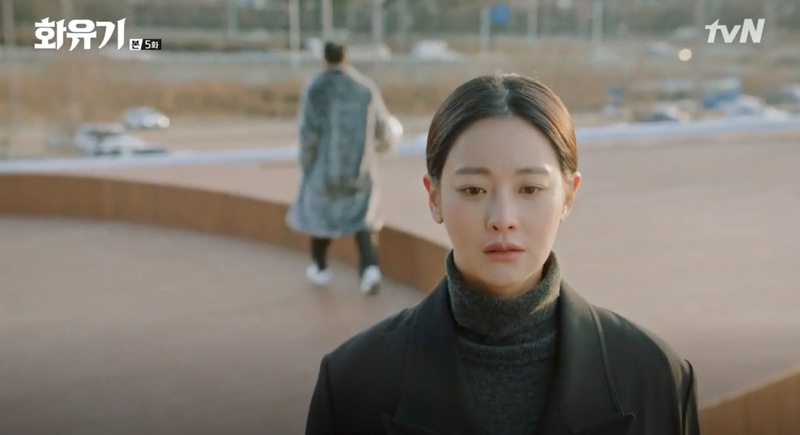 While they were buying sausages at a food truck, Gyeong-sul approaches Jeom Soon and apologises for what he did to her. 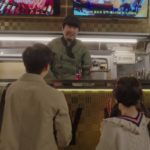 She, in turn, offers him her sausage as a peace offering. 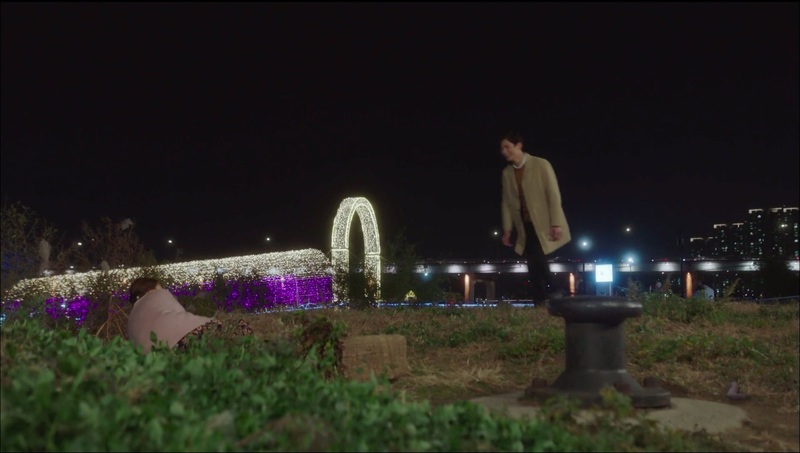 As for Kim Geum, he is reunited with Seon Ok-nam (Moon Chae-won) when she returns to earth from the celestial world. 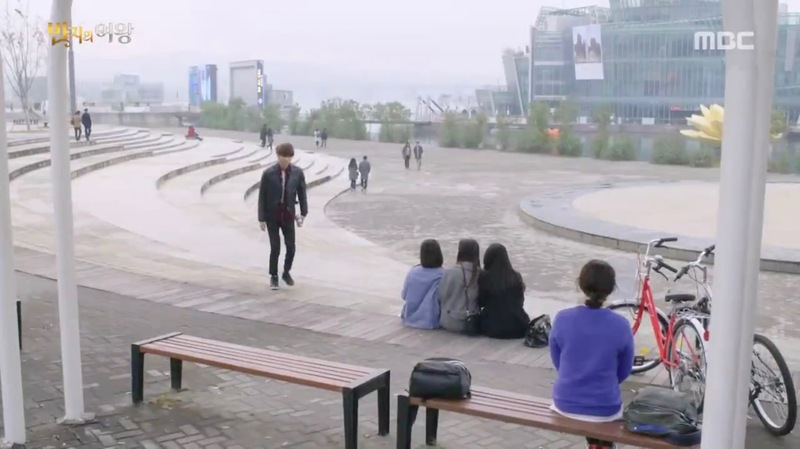 This takes place opposite Some Gavit. 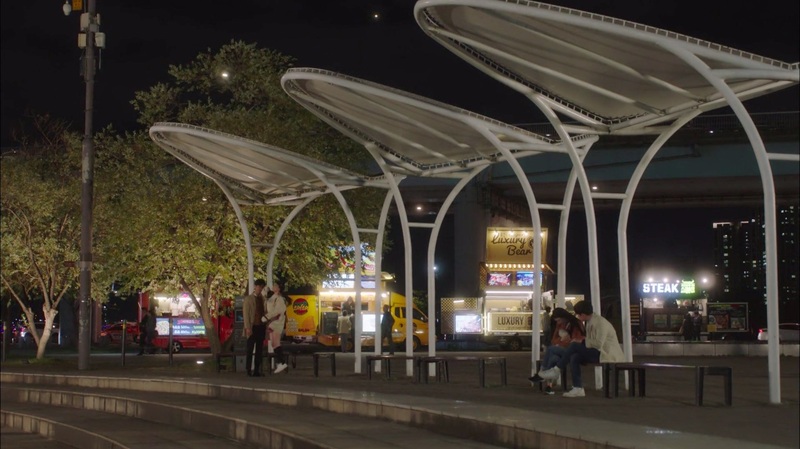 Yoon Yoo-jung (Yoon Eun-hye) and Cha Woo-hyun (Chun Jung-myung) come here on a staged date in episode 4 and on a real date in episode 7 of Fluttering Warning/Love Alert (설렘주의보) (MBN, 2018). 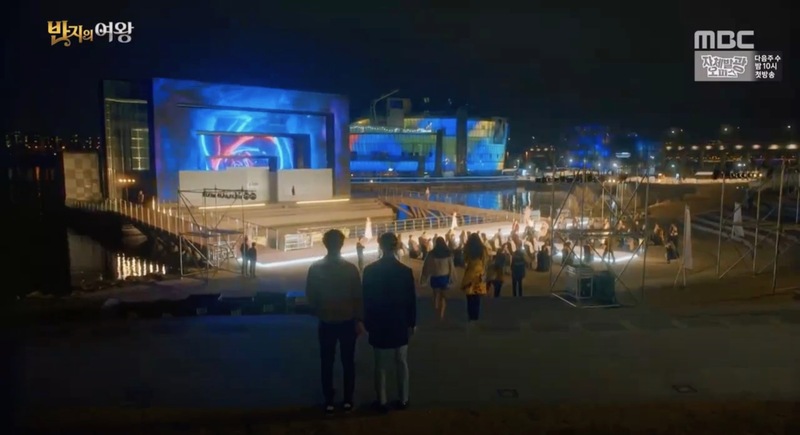 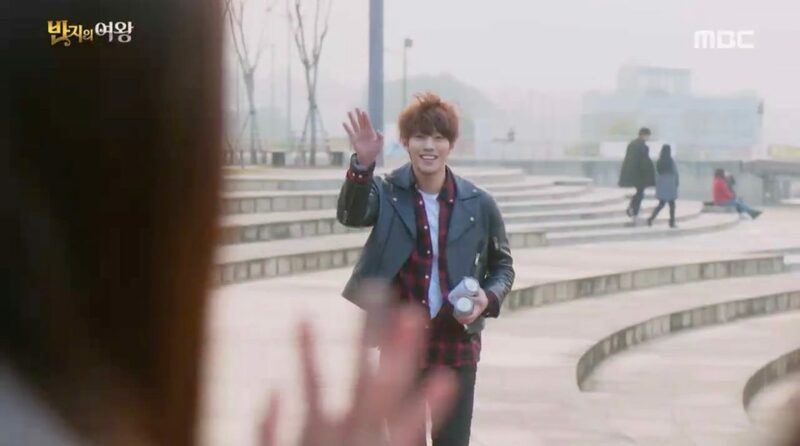 Being in love and walking arm in arm on their real date, they learn on a huge screen that they have just broken up. 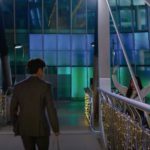 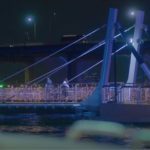 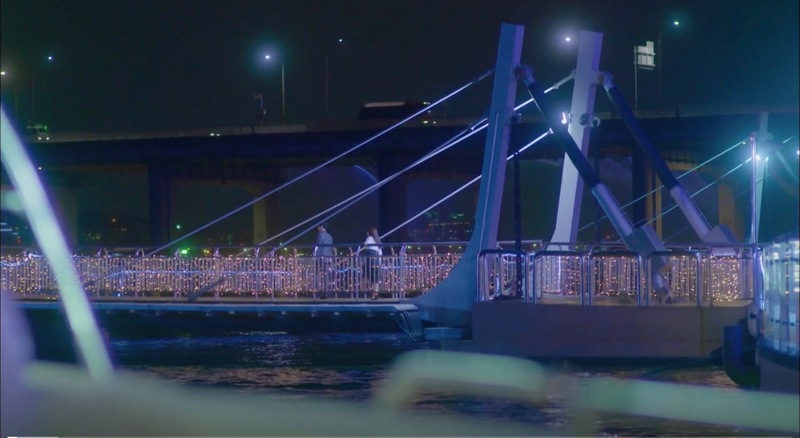 “I always wanted to come here with he person I love,” Min Chae-Rin (Lee Yu-Ri) tells Cha Eun-Hyuk (Song Chang-Eui) while threatening that she will let herself fall from the railing of the bridge that leads up to this building in episode 4 of Hide and Seek (숨바꼭질) (MBC, 2018). 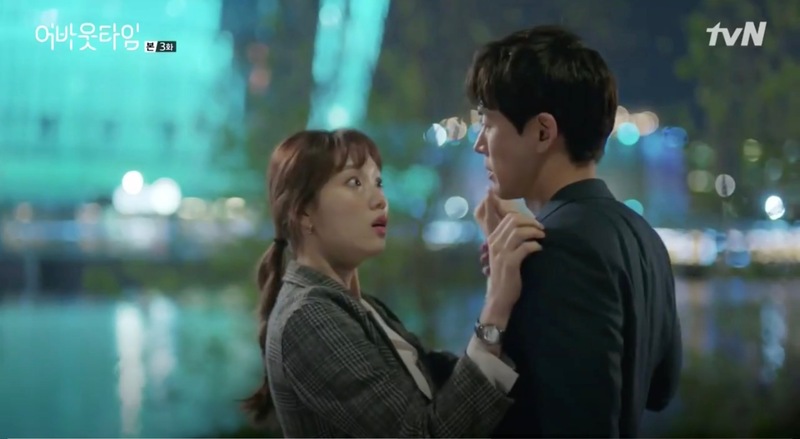 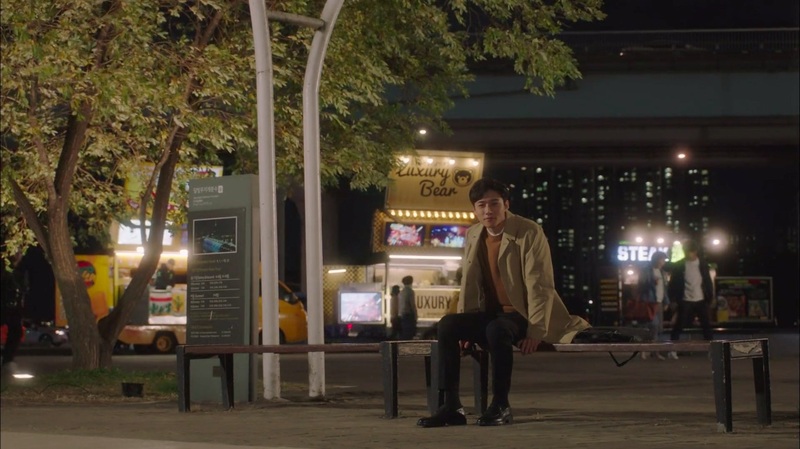 After their dinner, Choi Michaela (Lee Sung-kyung) and Lee Do-ha (Lee Sang-yoon) come here in episode 3 of About Time (멈추고 싶은 순간: 어바웃타임) (tvN, 2018). 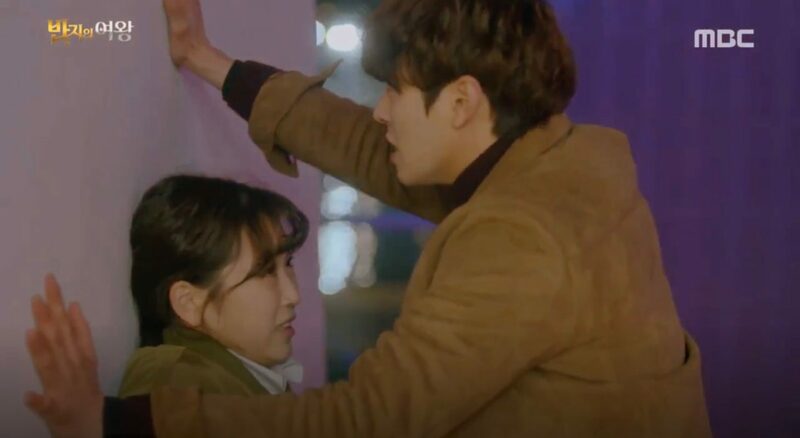 He tells her to walk backwards to train for her driving skills and when she trips over, he holds her and this is the first time that she notices that her ‘natural clock’ counts upwards at his touch. 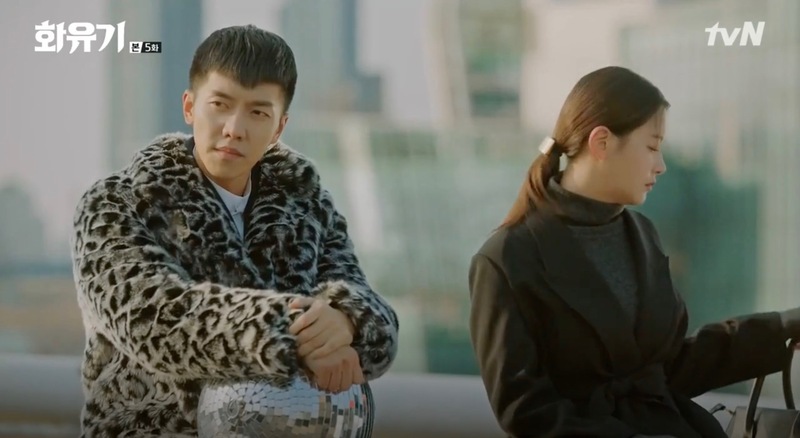 Young Jin Sun-mi (Oh Yeon-seo) and Son Oh-gong (Lee Seung-gi) come here in episode 5 of Hwayuki/A Korean Odyssey (화유기) (tvN, 2017-18) after they chase an evil ghost and an evil person out of a hotel. 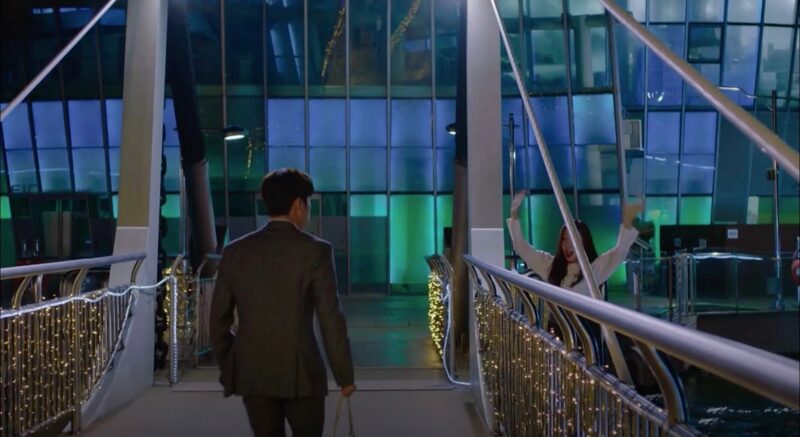 He wants to walk her home but she refuses. 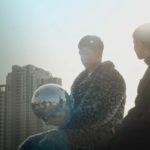 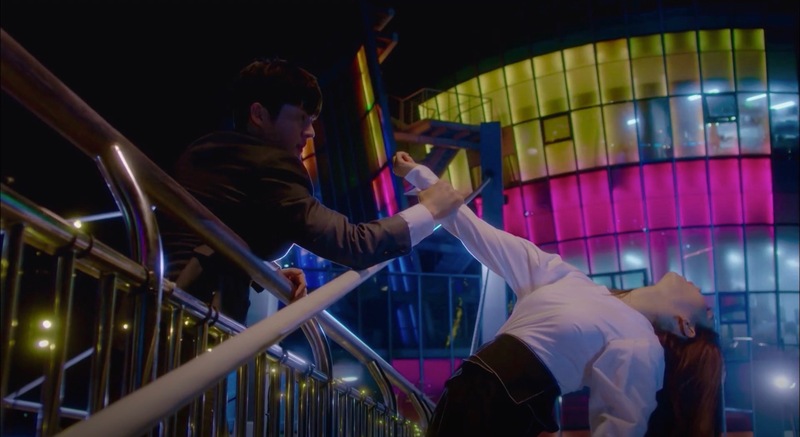 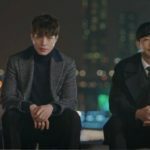 The fashion show by ‘Barbara Lee’, where Park Se-geon (Ahn Hyo-seop) and Nan-hee (Kim Seul-gi) meet for the first time in episode 1 of Queen of the Ring (반지의 여왕), the third story of the mini-series/drama trilogy Three Colors of Fantasies (세가지 색 판타지)(MBC/Naver 2017) takes place here. 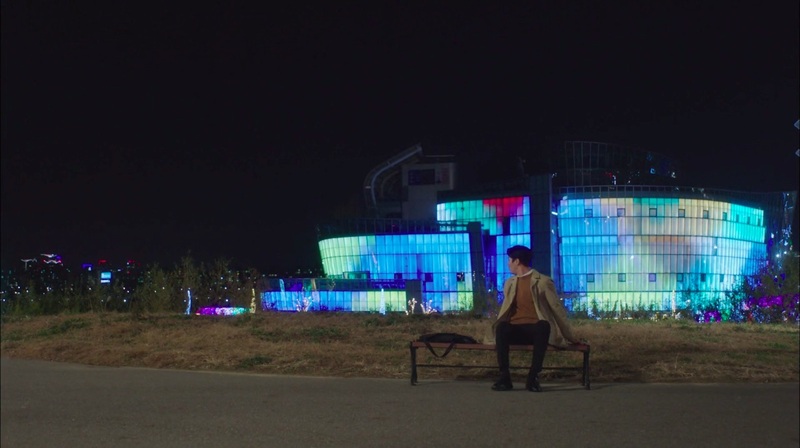 They are back here for a date in episode 3. 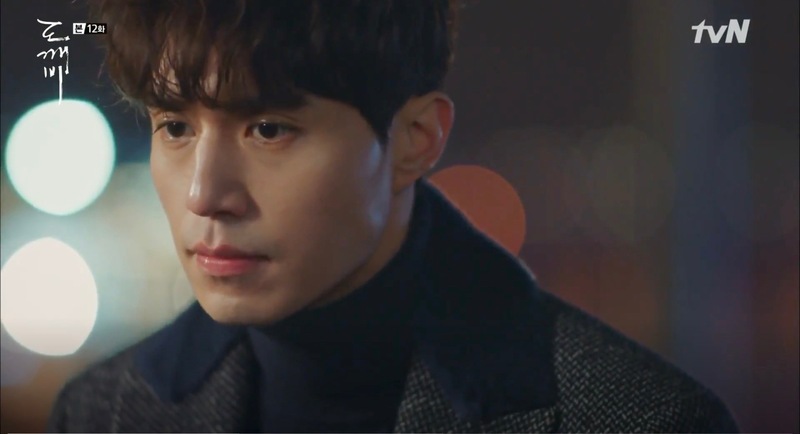 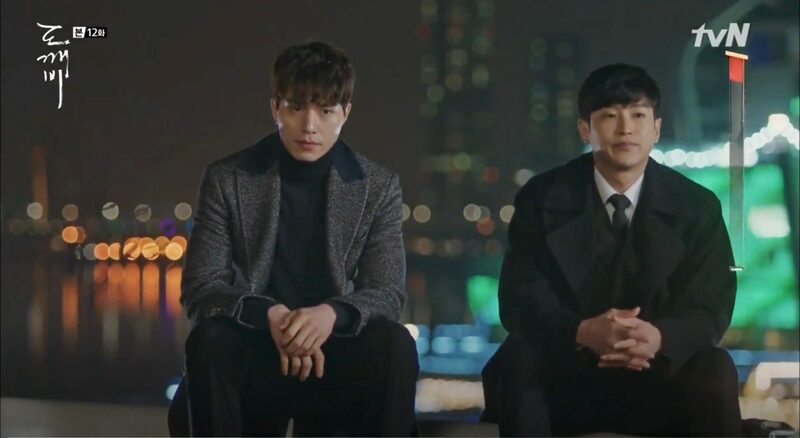 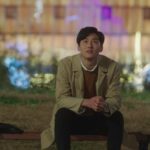 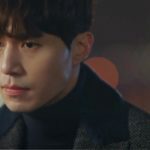 Confused Grim Reaper (Lee Dong-wook) meets up with a fellow grim reaper colleague here in episode 12 of Goblin/Guardian: The Lonely and Great God (쓸쓸하고 찬란하神 – 도깨비) (tvN, 2016-17). 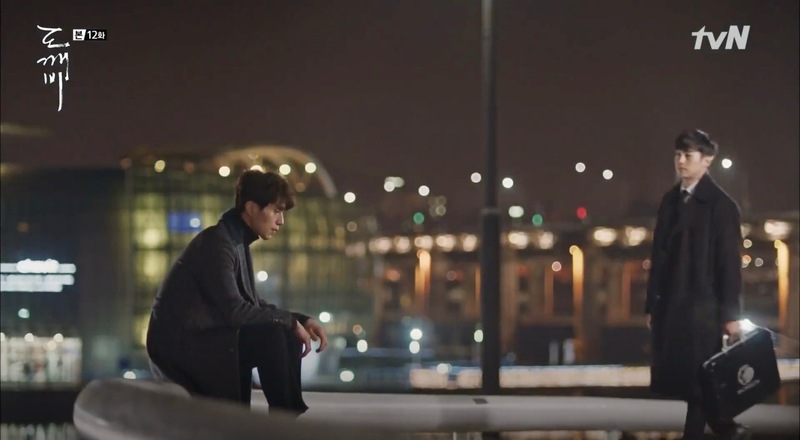 After Na Bong-sun (Park Bo-young) takes the courage to tell Kang Sun-woo (Jo Jung-seok) that she is possessed by a ghost, and that it wasn’t her he fell for when descending from Namsan Tower on the Namsan Cable Car in episode 13 Oh My Ghostess/Oh My Ghost (오 나의 귀신님) (tvN, 2015), he wants a clearer explanation. 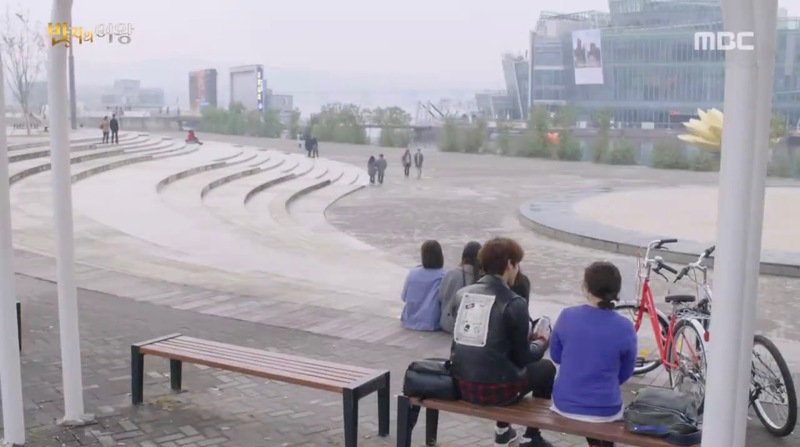 So, they sit down in front of Some Sevit to talk it out. 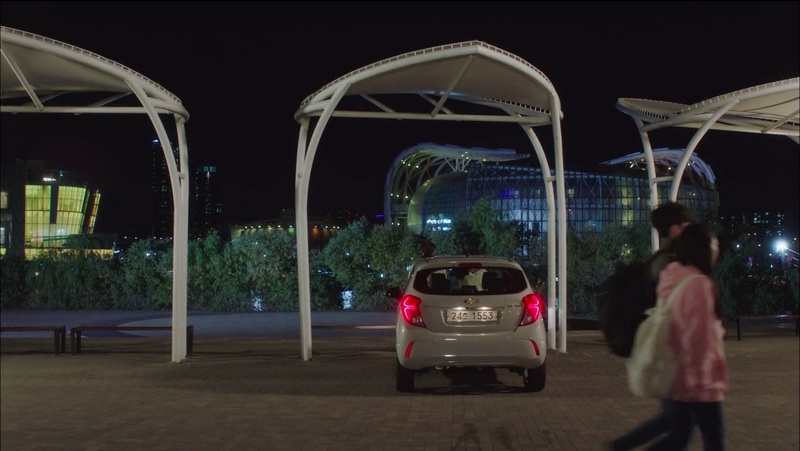 The building also appears in the background when Oh Jin-kyu (Kim Sun-ho) drives over Banpo Bridge in episode 1 of Strongest Deliveryman (최강 배달꾼) (KBS2, 2017). 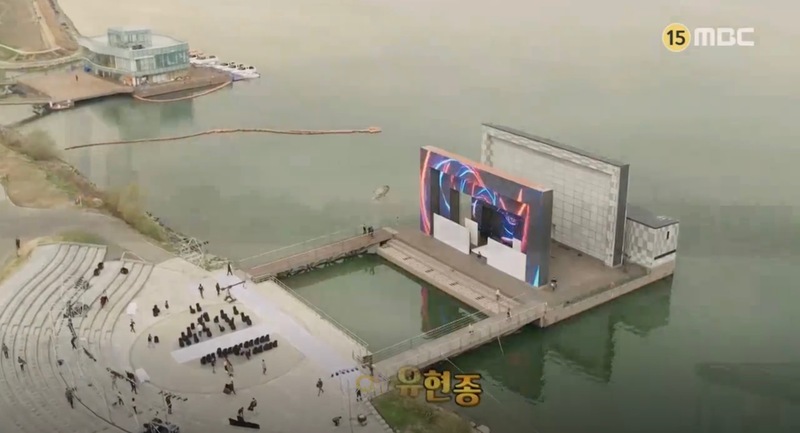 This was where the Korean Armwrestling Championships take place in Champion (챔피언) (2018). 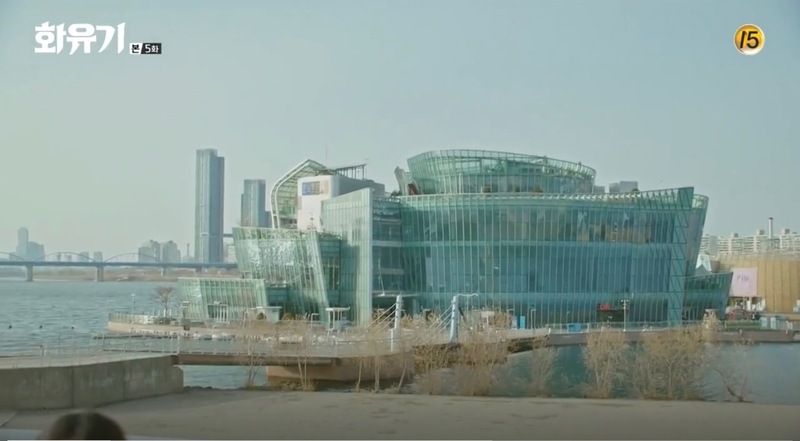 — Super Junior’s (2019) ‘Ahora Te Puedes Marchar’ Special Video (featuring Girls Generation’s Yuri) was filmed here. 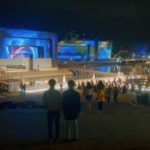 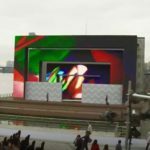 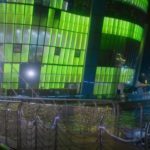 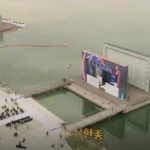 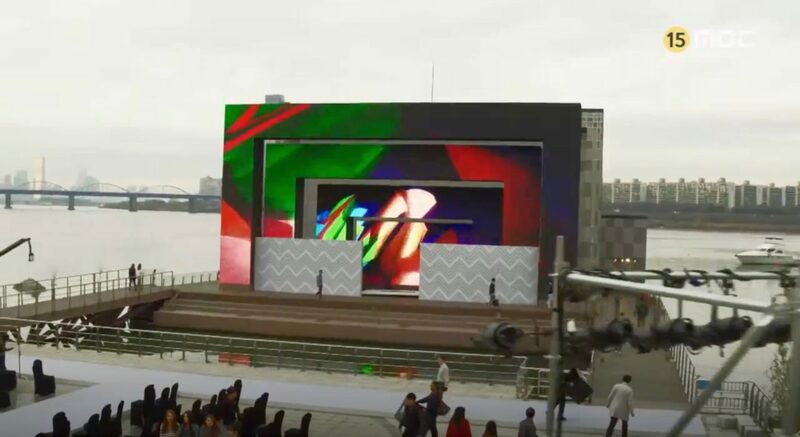 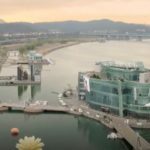 Some Sevit/Sebitseom [세빛섬] is a cultural complex situated on artificial islands located in Banpo Hangang Park, near Banpo Bridge in Seoul’s neighborhood of Banpo-dong [반포동] in the Seocho District [Seocho-gu/서초구]. 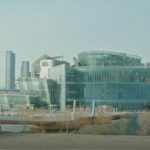 The complex consist of four buildings called Yevit, Gavit, Solvit and Chavit, each with their own activities and programs. 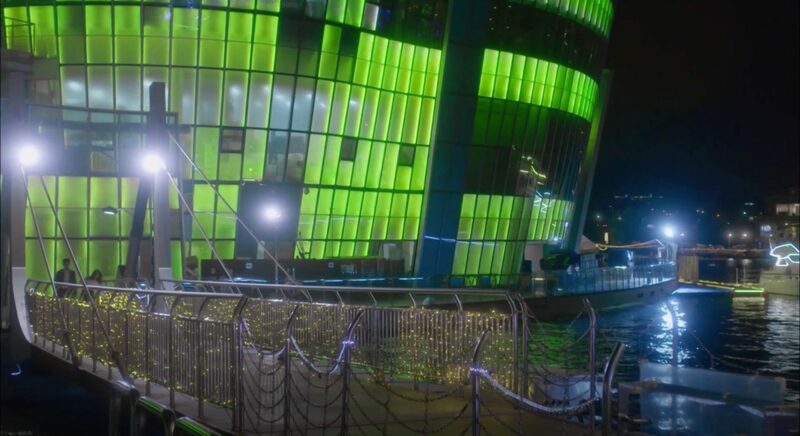 There is also a restaurant and café on Gavit. 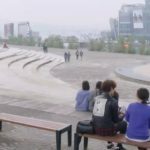 Walk straight until turning into the first street on your right (Sinbanpo-ro 15-gil [신반포로15길]) and walk down this street until you come to an underpass. 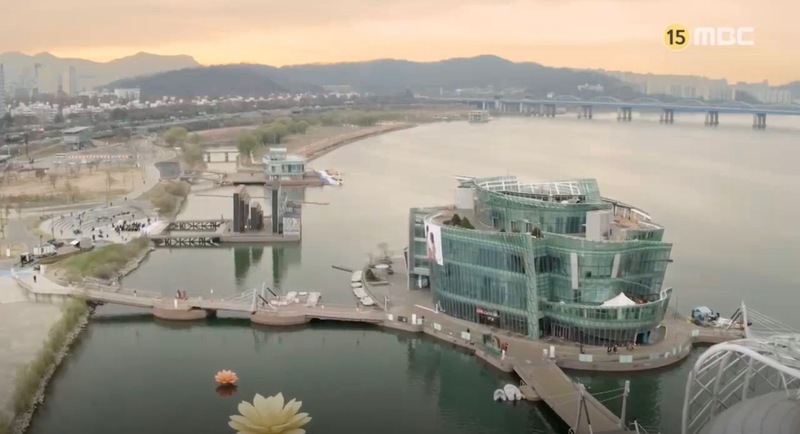 This will lead you directly to Banpo Hangang Park.